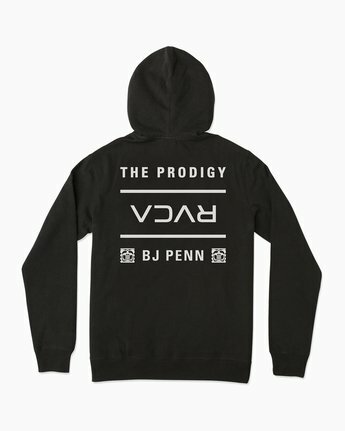 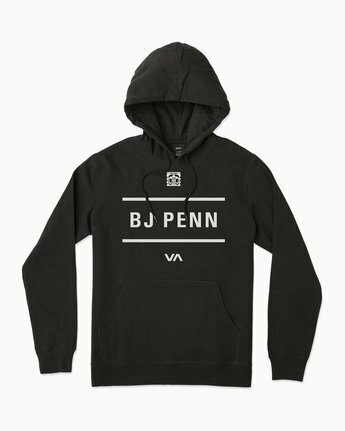 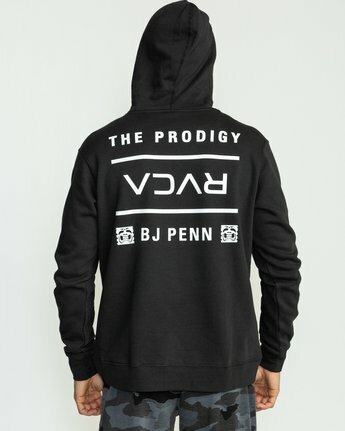 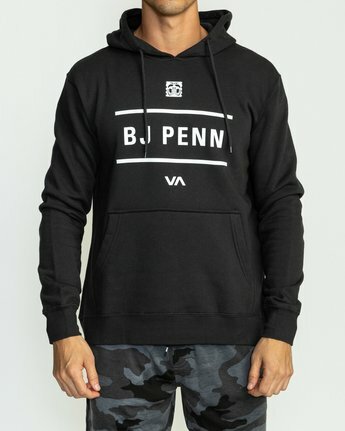 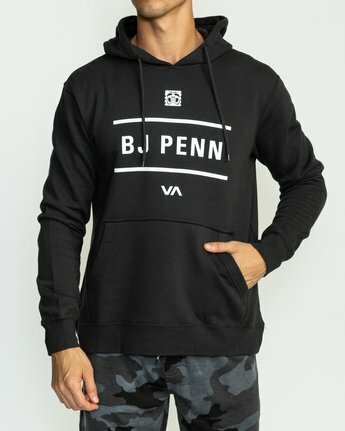 The RVCA x BJ Penn Stack Fleece Hoodie features signature BJ Penn logo screenprints at the front and back. 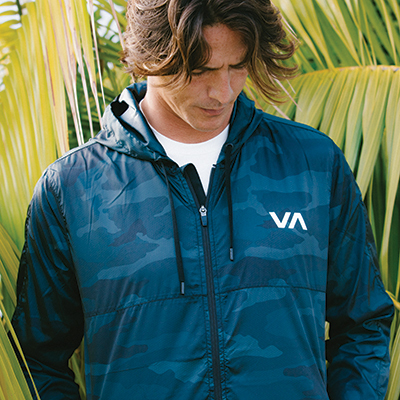 It has elastic ribbing at the hems and a kangaroo pouch pocket at the front. 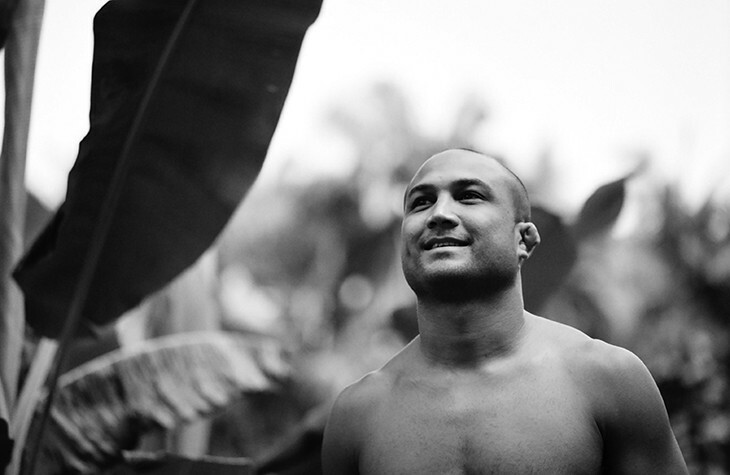 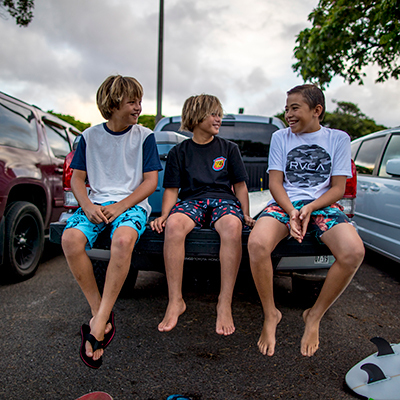 Nicknamed "The Prodigy", BJ Penn was introduced to Brazilian jiu-jitsu in Hilo, Hawaii at the tender age of 17 by neighbor Tom Callos. 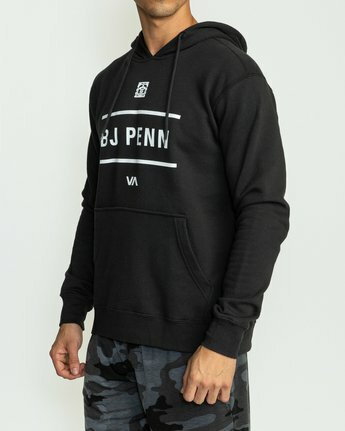 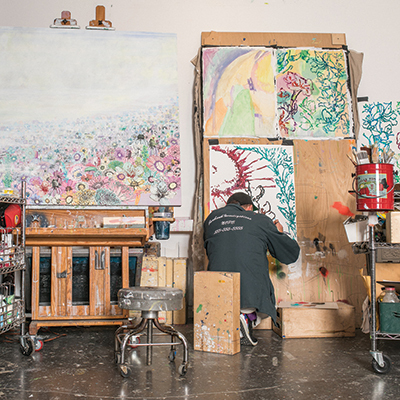 It was through Callos that BJ met Ralph Gracie in 1997 and decided to relocate to Mountain View, California to further his jiu-jitsu training. 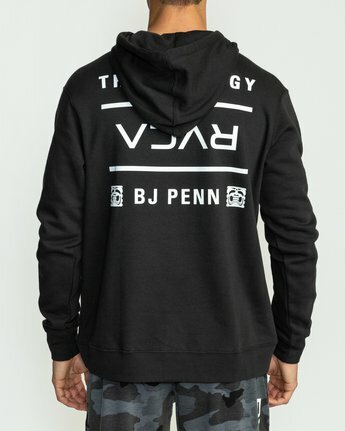 From that time on, BJ launched his storied career through the ranks of Brazilian jiu-jitsu and the UFC.